Well, I guess it is my turn for a blog posting. My name is Regena Odle and I have been with Raine Inc. since September 7th of 1999. Wow! It seems like just yesterday that I walked through the front door to start on this adventure. If you have ever called into our office, I am sure that you have probably had me on the other end of line at one time or another. We are a pretty small office so I answer the phone quite a bit. I guess I should start off by telling you all a little about myself. 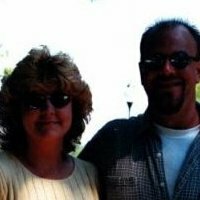 My husband Brent and I have been happily married for eleven years. We were married in Las Vegas in February 2000. (I will tell you about that in another post because I was also in Las Vegas to work at my first ASD Show that year.) Together we have three sons. My son Joshua is 24 and the father of our grandson Skyler who is 4. I have two stepsons – Brock is 20 and Chase is 18. We are now empty nesters but Skyler stays with us every other weekend so that keeps us busy. We are also “parents” to our little diva dog Pixie Ann who is absolutely spoiled rotten. I am an avid reader and I also enjoy scrapbooking in my spare time. My husband and I both enjoy NASCAR racing, football (Go Colts! ), baseball (Go Cubbies!) and our favorite vacation spot is Las Vegas. I come from a sales background but mostly in the communications industry. I worked for a little over ten years in the cable television and satellite television industries. It has been a big change from selling a Saturday night boxing match or wrestling event to selling nylon products. I knew very little about this industry before I started at Raine Inc. so it has been and still is a learning experience for me. I have worked in customer service in some capacity since my first job when I was a teenager. We won’t go into how long ago that was though. My job title at Raine Inc. is Sales Associate but really I am a “Jack of all trades”. Other than sitting down in front of a sewing machine (I couldn’t sew a straight line to save my life) – I have done just about every other task here at Raine Inc. at one time or another. That is one of the many reasons that I love my job so much – every day is a new adventure. This entry was posted in Employee Related Info. by raineincblog. Bookmark the permalink.